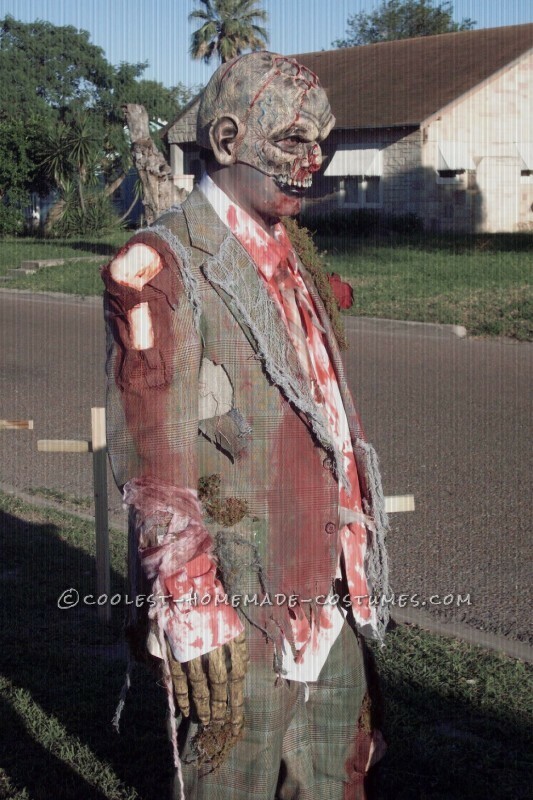 I started this homemade zombie costume with a suit from the Thrift store, brown shoes and white shirt. I ripped out pieces from the suit. 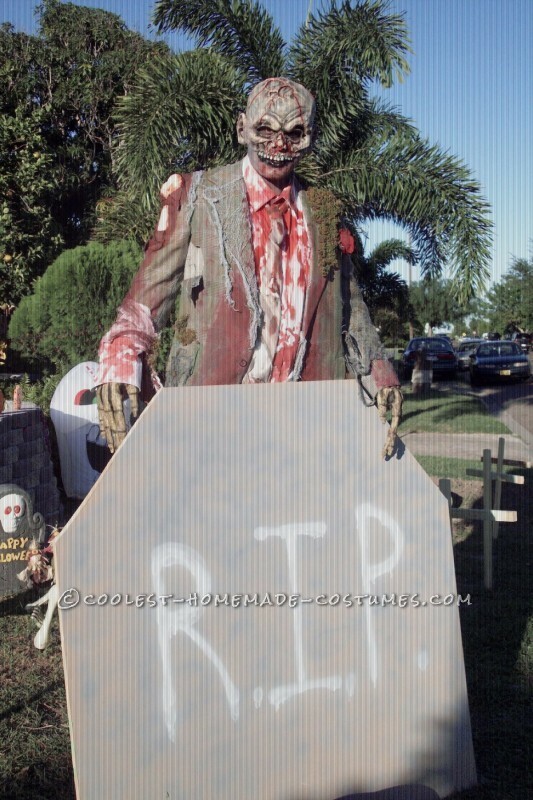 I then added details with fake blood and red paint. 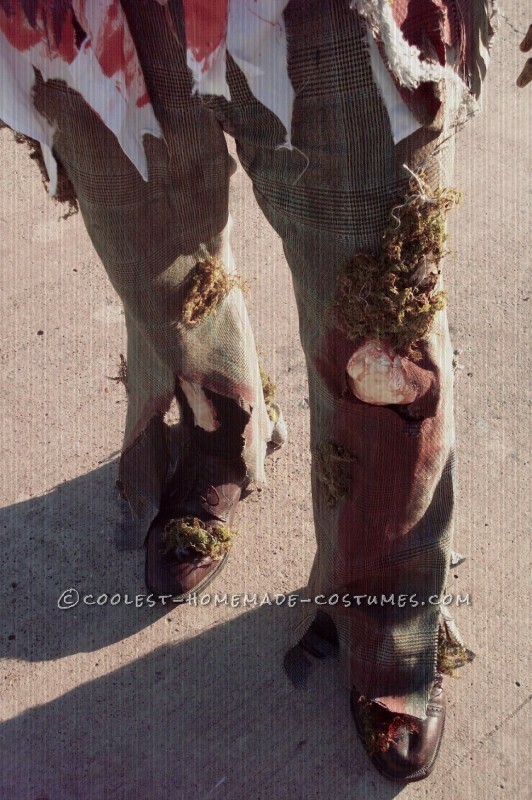 I added moss to the shoes and different parts of the body. I then used a plastic bone that I cut in half. I then used pieces of the bone to create bone parts that popped out of the suit in different parts of the body. 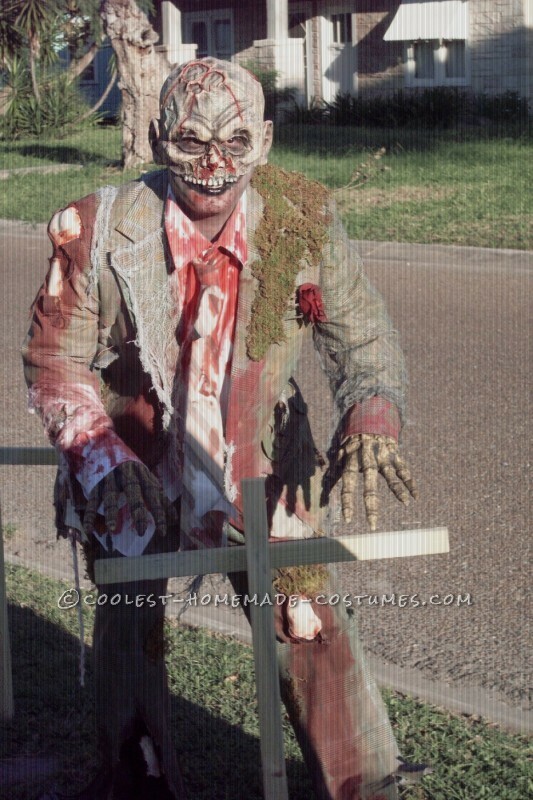 Since the whole craze with the walking dead began we wanted to join in the fun and make our version of a zombie. My husband is a theater teacher so he had the acting down pretty good. This made the whole costume come to life. I was going for a fresh out of the grave look. 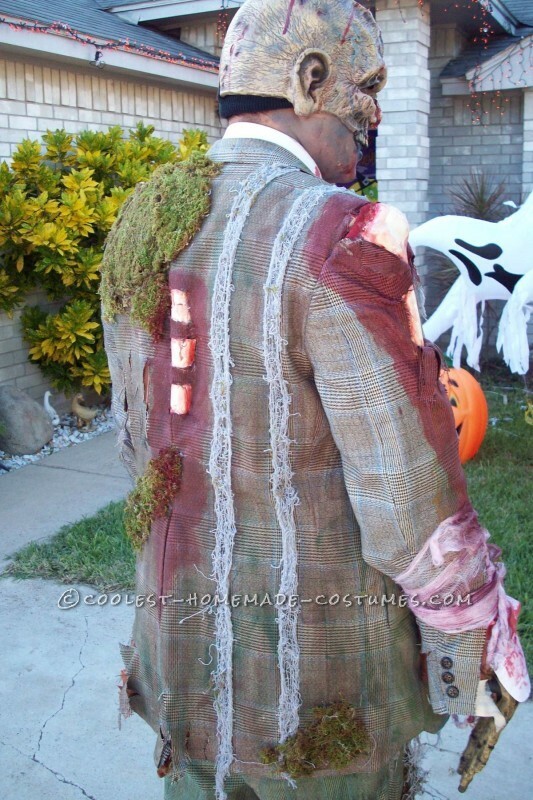 I also added creepy cloth to the back and front of the front of the suit. I used a plastic bone and cut it in half to construct a spine, shoulder bone, knee bone and shin. This really made the costume come together. The last details I added where a red rose on the lapel, zombie glove , zombie mask and grey, black, and neutral face paint. This costume was received very well. Both kids and adults were successfully terrified with this one. Also, my husband placed second in our local city Halloween costume contest.